The main objective of the program is to allow students of all nationalities with different qualifications, to provide answers on the basis of unconventional, innovative, creative, integrated approaches (technical, professional, academic and human) with respect to the issues of urban and regional development. From the course’s eleventh edition on (2013) the students will have the possibility to interact with the Centro Studi Dante Bighi and with the iniciatives promoted inside the program “Città della Cultura/Cultura della Città” about themes related to management and organization of cultural events and manifestations, with the goal of creating during the workshop in Italy a prototype of cultural event. the assessment on the best tools and technologies to be proposed and used. Since the eleventh edition of the Master (2013), students will have the opportunity to interact with the School of Design and Management of Temporary Cultural Events. 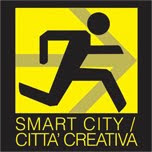 The school, run by Re.CoDe (School of Creative Actions for Community Development) and the Centro Studi Dante Bighi, will permit to the Eco-Polis students to participate directly in the formulation, design, implementation and management of at least one event of the 2013 calendar of the cultural program ‘Città della Cultura/Cultura della Città’ (City of Culture / Culture of the City). How to manage the processes of participation and stimulation of the actors that characterize the context (citizens, businesses and institutions). Concrete events: seminars, boot-camps, cultural events. local and supra-national institutions and companies that cover the organizational costs of our workshops (accomodation and transportations for students and teachers) since 2007.